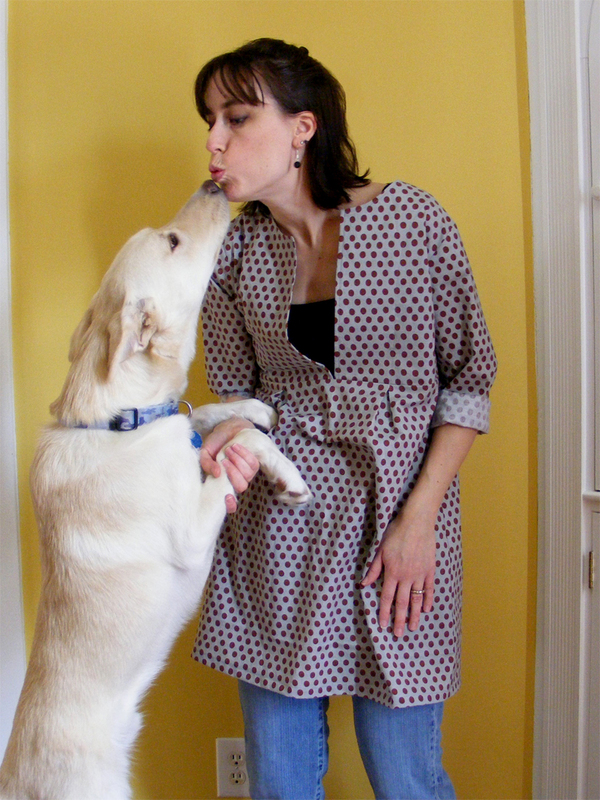 I don’t know why I like the Schoolhouse Tunic by Sew Liberated so much. 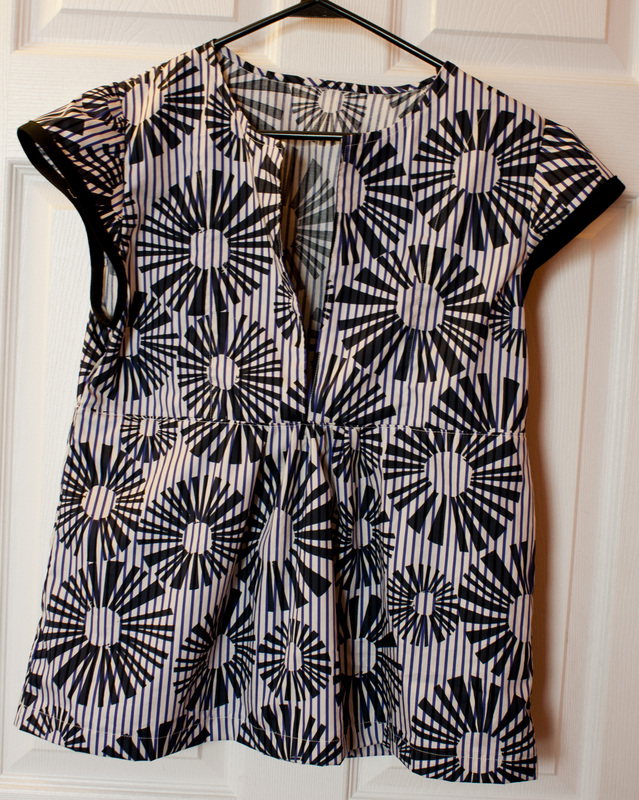 Maybe because it is so quick and easy to sew I get almost instant gratification. It could also be because it is very comfortable, and I am all about comfort over fashion these days. 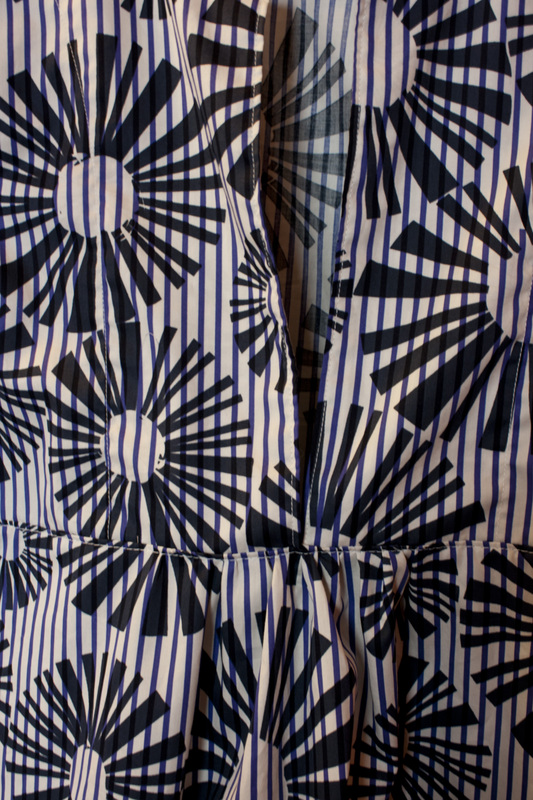 Or maybe it’s because the pattern is so basic, it lends itself well to modifications. My first tunic, which I wrote about here, was made with a grey and rust polka dot fabric by Kaffe Fassett. I kept pretty true to the pattern. I like it. It was comfortable. I wore it once and felt ridiculous with all those polka dots, so I dismantled it. I kept the top and replaced the bottom with a solid black skirt. It looks much better now. My favorite tunic was made from a really nice, med-weight, red linen. The drape of the fabric was perfect for the pattern. I made a few changes by lengthening the skirt, adding pockets, gathering instead of pleating the back skirt, and leaving the sleeves off. This one gets the most wear, as it is the most versatile. I pair it with long-sleeves, leggings, and tall boots in the fall. And I wear it over shorts and a tank in the summer. Here it is making an appearance in the brick pits at Colonial Williamsburg last summer. I’ve been wanting to make another one for awhile now. I’ve had the pattern and fabric sitting on my sewing desk for months, but I’ve been distracted by other things. I finally decided to tackle my sewing pile last Sunday. After repairing several tops and converting worn jeans into shorts for the kids, I decided to reward myself by making a top for me. 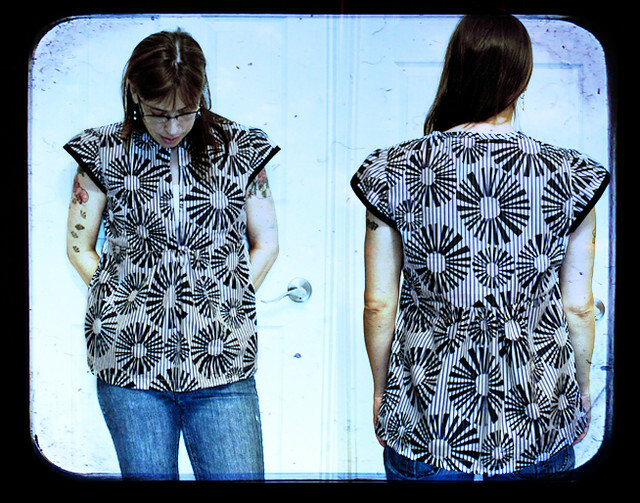 This time I made the short version with a few other modifications and I think this is my new favorite summer top. 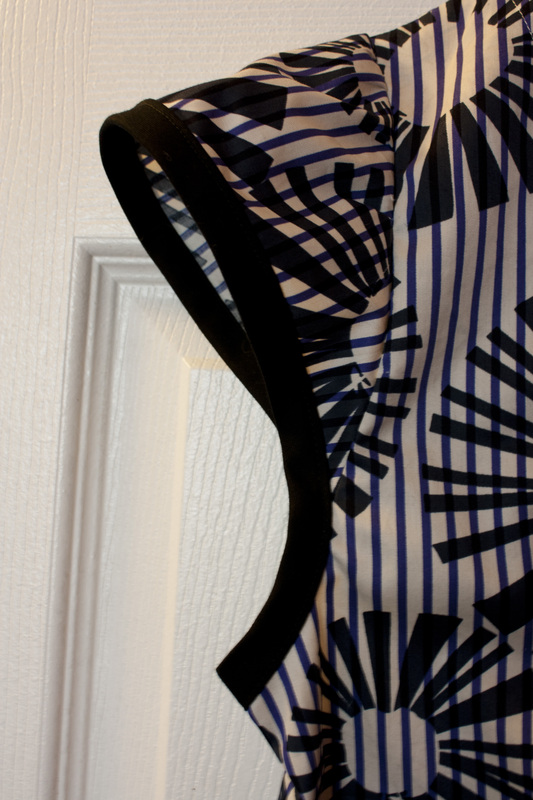 I used a light-weight, cotton poplin print by Vera Wang. I had some left over from a dress I made a few summers ago. And for the sleeves, I decided to make little, gathered, cap sleeves. I finished those off with some black bias trim that I made from some fabric in my scrap bin.